On a long weekend sunny Monday, 200 people gathered in Mississauga at One Free World’s International’s conference to shed light on the persecution of Muslim populations across the Middle East and Asia. With Canada contributing over $940 million to fight ISIS and other violent extremist groups, it was a reminder for why such involvement is not only appreciated, but a crucial lifeline to populations living in the world’s most dire conditions. Arman Raster spoke first, of the Uyghurs Turkic Muslim minorities in China, which until the discovery of new resources in their region, enjoyed a distant relationship with the Chinese state that had moved into its region decades earlier. With rising immigration to the area, conflict has risen and the Muslim Minorities are being persecuted and isolated for defending their place in their homeland. The group is being marginalized more than ever before. Nur Hashim spoke to the sentiments of the Muslim populations in Myanmar, that have faced mass genocide at the hands of Buddhist majorities that support the militant regime set on eradicating the small population from their homes. They face not only physical violence but emotional heartache as they are stripped of their citizenship and right to their homes. Mr. Nader John Mohammed spoke next about the deportation of Ismailis from their homes in the Middle East and Pakistan. A constructive and peaceful group, their history is marred with attacks from the Taliban and other extremist groups, and being forced to flee and hide for their lives. Light was also shed on the continuing fight between the Kurds and ISIS, with further harm caused through Turkish politics to those suffering across Turkey, Iraq and Syria. Kyan Naderi spoke for Iranian woman, whose past is glittered with freedom and equality, while the present is stained with sexist laws, brutal punishments, and a value that is literally half that of a man. Ahsan Gardevi’s reminded the crowd that violence was not the teaching of Islam, like any other religion. Extremists that use Islam as an excuse to commit violence against not only those of other faiths but also Muslims of other sects, he said, work against the intentions of Prophet Mohammed. Salma Sadiqui, one of Canada’s most prominent activists, brought the issue home while addressing Canada’s role in security and protection of minorities at home and abroad. Advocating strict and disciplined action against the offenders, she was a reminder that Canada is not only a place of refuge, but also just action in times of chaos. 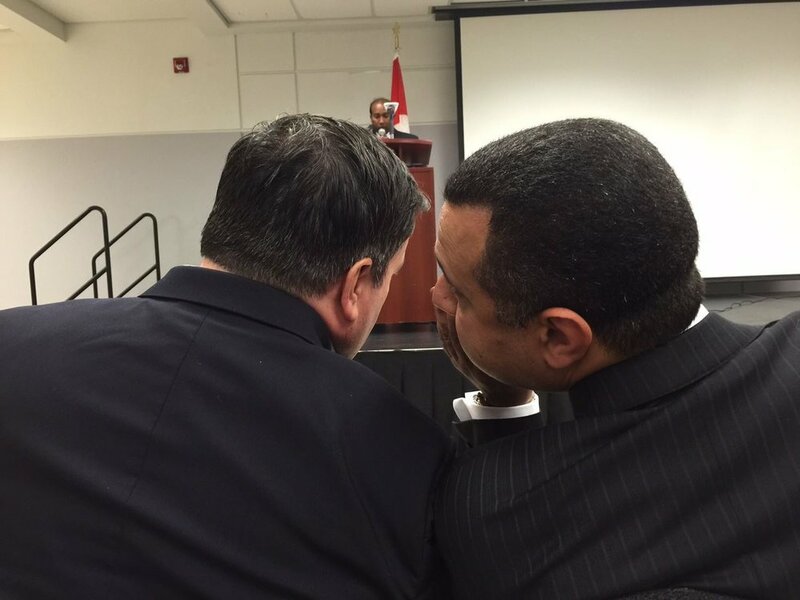 When guest of honour Minister of National Defence Jason Kenney followed, he detailed the cases of discrimination and abuse he has seen throughout his career. He also shared details of the initiatives taken by the Harper government to protect Canadians and those that seek its refuge through immigration. Most strikingly, as Canadians who sometimes take our peace for granted, he spoke of a duty owed to those who cannot speak for themselves. Throughout the Middle East and beyond, from innocent children with a life yet to live, to those who fighting for the very survival of their people in traditional homelands, people suffer at the hands of those who hold and abuse power. That is why we must do all that we can to shine a light onto those perpetuating evil and committing atrocities. One Free World International will continue to be a voice to the world so they are not forgotten and take action to save lives.